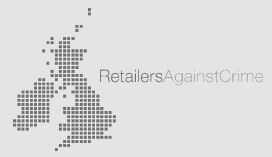 Retailers Against Crime (RAC) is an established national retail crime partnership in the UK. RAC was launched in 1997 after several retailers based in London got the idea to develop a national information-sharing scheme in Scotland. The idea was to detect and deter criminals who were having a negative impact on their business profitability. At the time of its establishment, RAC had 47 stores involved. Today, it operates in Scotland, Northern Ireland, London, and the North West of England and provides information to 2,500 contacts. As a public-private partnership using the same model as ORCAs in North America, RAC is a place where members can submit information on crimes or criminals and have it analyzed. Intelligence bulletins are then produced and circulated to members, crime partnerships, and police throughout the UK. For RAC members, there are proven results demonstrating that RAC works in deterring losses in stores and identifying those responsible. RAC is managed and funded by its members and has offices in Stirling, Lisburn, London, and Carlisle. Any US retailer with stores in the UK might want to consider joining RAC. Visit the website for more information. On October 17, the RAC will host a meeting that will be the rollout of RAC Ireland as RAC expands to the 26 counties of Southern Ireland. Be on the lookout for the report on this meeting, to be published in the Daily on October 18. 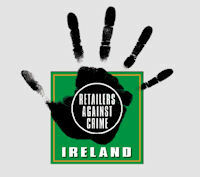 For more information regarding this meeting, please visit RAC Ireland's website or email info@retailersagainstcrime.ie.